Owner + Founder Nicole Suchevits opened the doors to 360 Studios Naperville in 2015 after being a stay at home mom for 17 years. Since then, it has developed into something much more than just a one stop shop fitness studio for the Local Community. Not only was safety a huge factor that went into play when planning out her dream studio, Nicole also took priority in making sure that anyone who enters through the doors feel safe both physically and mentally. 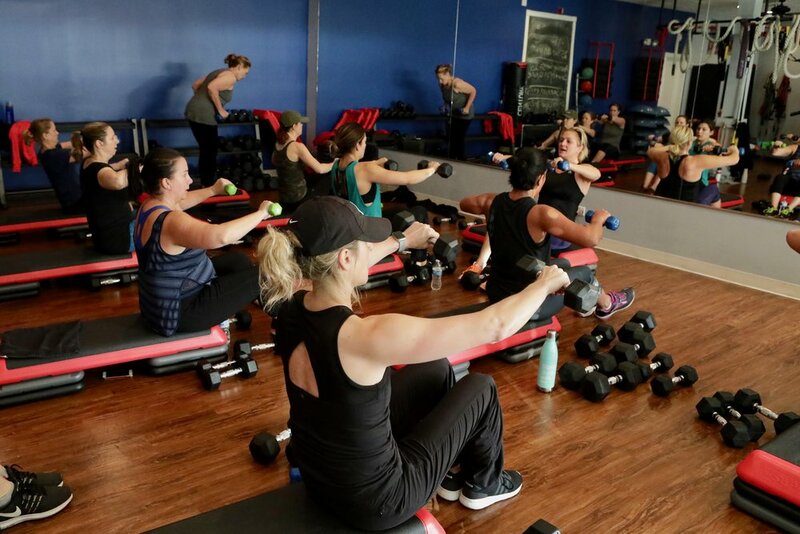 360 Studios Naperville is a place where people of all shapes, sizes and ages can come to do fitness in a community setting where everyone is welcome - but still small, where you have that personalized attention you need to achieve your fitness goals. Nicole jumps in to a class for a quick workout and break! What she loves the most is checking people in and being a part of the classes. On top of that she also makes time to work alongside her instructors and clients and loves nothing more then the gratification she gets when a member meets their fitness goals. Sign up with your email to receive news + updates! NO EXCUSES. GET FIT WITH US. © 360 FIT NAPERVILLE, LLC. All Rights Reserved.